These terms and conditions govern the services that Fulham Driving School Limited (“we” “us” “our”) will provide you and that you will purchase from us. Our company registered number is 07002710. We reserve the right to revise these terms and conditions at any time without notice to you but will endeavour to bring any change to your attention where possible. b. If you have any medical conditions that we should be aware of, it is your responsibility to bring this to our attention when booking the driving lessons or to advise your instructor before starting your first lesson. 3. You are responsible for any belongings that you bring with you to a driving lesson and neither we nor your instructor will be responsible for those belongings. 4. You are also responsible for any damage to the vehicle resulting from your acts, omissions or misuse. 5. The contract for your driving lessons is between you and your instructor who is a self-employed franchisee of Fulham Driving School Limited. 6. You and your instructor, who is a self-employed franchisee of Fulham Driving School Limited, are responsible for arranging payment and receipts, block bookings and for making arrangements such as lesson dates, duration, pick up and drop off location and so on. 7. If payment is made to our main office, we will provide a receipt on request. 8. If, for any reason, you are dissatisfied with your instructor, you should seek to discuss this with your instructor in the first instance. If you are unable to resolve your differences, please contact us at office@fulhamdrivingschool.com so that we may try and assist in seeking a resolution. 9. If you wish to change your instructor for any reason, then subject to the cancellations provisions below, we will reasonably seek to accommodate your request. 10. We reserve the right to change your instructor if the instructor you booked your lesson with is unavailable to carry out your lessons due to any unforeseeable circumstances, in particular in relation to Block Bookings and Intensive lessons. Your instructor will advise us if this is the case, and we will arrange the transfer to a new instructor. 11. 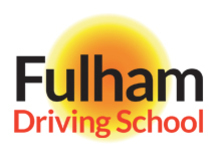 You may contact Fulham Driving School at office@fulhamdrivingschool.comif you have any concerns in connection with your lessons or your instructor. 12. Your instructor will have the appropriate insurance for you to drive the instructor’s car during your lessons and / or driving test. 13. Our instructors will seek to determine lesson locations which ensure the public safety and your safety as well as enable you to get the most out of your lesson. 15. Unless a block booking is purchased, lesson prices are subject to change at our discretion. You will be advised of any price increase at the earliest opportunity and in any event no less than one week before your next driving lesson. 16. Payments made directly to us, as agents for your instructor, will only be refunded by cheque regardless of the method of payment. 17. Any payments that you make directly to your instructor will be refunded to you by your instructor, and we will not be responsible for any shortfall owed to you by the instructor. We will however help you with resolving any discrepancies that are brought to our attention, as long as you can provide us with receipts for payments made by you so that we may properly check any discrepancy. 18. We may deduct from any refund that is agreed any sum that is payable by you to us or the instructor including, without limitation, cancellation of block bookings or lessons. 19. You can purchase block bookings of 10 / 12 / 20 driving lessons. Once purchased, you are committed to the full number of driving lessons purchased in your block booking. 20. The price for block bookings will be at a discounted rate dependent upon the number of lessons that you purchase from us. 21. As block booking lessons are purchased in advance, they are non-refundable and non-transferrable to another pupil. 22. Block bookings may be transferred to another instructor upon our consent and appropriate arrangements being made with the instructors. 23. Any block booking must be used within 6 months of purchase, and you are not entitled to a refund for any lessons that are not booked and used within this 6-month period. a. If the cancellation is made after some lessons in the block booking have been taken, we will charge you the difference between the full price and the discounted price of each lesson taken as well as a cancellation fee equivalent to 10% of the total block booking price. b. If the cancellation is made before any lessons are taken we will charge you a 10% cancellation fee, to compensate us for our administration costs, processing costs and the termination of the block booking. 25. The prices for block bookings may be increased if you do not take all the lessons in that block booking within 6 months of payment. 26. Where we have agreed in advance a time for a block booking or advanced driving lesson, we will not be able to refund to you any lesson that is scheduled for a time within a two-week period from you seeking to cancel that lesson. This is because the instructors schedule their time and once booked in their diary the time is allocated to you and it is not normally possible to reallocate that time on less than two weeks’ notice. 27. You can purchase Intensive lessons lasting 25 hours or 35 hours (the “Intensive Lessons”). Once purchased you are committed to the full number of hours that are purchased. 28. 25 hour Intensive Lessons must be taken over a consecutive 2-week period and 35 hour Intensive Lessons must be taken over a consecutive 4-week period. 29. The price for Intensive Lessons will be at a discounted rate depending on the number of lessons that you purchase from us. 30. At the time of booking, you will be provided with the dates and times of the Intensive Lessons. You will be invited to confirm the suitability of the dates. Once confirmed by you, the Intensive Lessons will be booked into your instructor’s diary and you will be committed to those lessons and the dates and times cannot be changed. 31. As Intensive Lessons are purchased in advance, and require significant commitment from an instructor’s diary they are non-refundable and non-transferrable. 32. If for any reason you choose not to proceed with Intensive Lessons at any time once they have been started, we are not able to offer you any refund. 33. You must give at least 48 hours’ prior notice to your instructor if you wish to cancel a lesson. If you fail to give the required notice, you will be charged the full price of the lesson. A refund would be at your instructor’s discretion where you cancel a lesson due to sickness, ill health or other circumstances outside of your control, subject to you informing your instructor at the earliest opportunity. 34. An instructor will only wait 10 minutes after the agreed start time of the lesson if you are late. If you are likely to be late, you must notify your instructor as soon as possible. If you are more than 10 minutes late, the instructor will leave, the lesson will be treated as cancelled and you will be charged the full price of the lesson. 35. If an instructor has to cancel a lesson, you will be notified at the earliest opportunity and your instructor will re-schedule the lesson with you. 36. Your instructor has the right to cancel your driving lesson if your instructor knows or reasonably suspects that you are under the influence of drugs or alcohol, are otherwise impaired or reasonably believes your driving to be dangerous or illegal putting you, your instructor or the public at risk. In such circumstances you will be charged the full amount of the cancelled lesson. 37. We also reserve the right to cancel your lesson or block booking if we or your instructor reasonably believes that you are not making progress with us. In such circumstances we will refund you the value of any unused lessons if purchased in a block booking, less a 10% administration fee. 38. Your instructor will endeavour to start and finish the lessons on time. However, there will be occasions that the instructor may be late for or have to cancel or postpone a lesson for reasons that are outside their control. In these circumstances you will be contacted as quickly as possible. 39. If the instructor is late to a lesson and is likely to be more than 10 minutes, you will be given the option to re-arrange the lesson with your instructor. If the delay is likely to be 10 minutes or less, then the lesson will go ahead as scheduled but your instructor will add the lost time to your next lesson. 40. We offer introductory lessons of 1 hour at the discounted rate of £10 for beginner drivers with no previous driving experience. 41. The rate offered is at the discretion of the instructor. 42. if you cancel or fail to attend an introductory lesson the introductory rate will not be offered again. 44. It is your responsibility to let us know the date, time and test centre of your driving test. 45. It is your responsibility to ensure that you bring your provisional licence to the driving test. 46. We reserve our right to refuse your use of our vehicles in a driving test if we, or the instructor, reasonably believe that doing so would place you, your instructor or members of the public in danger. 47. We are not responsible for any tests which are cancelled by the DVSA for any reason. The fee payable to us will not be refunded to you. 48. We will seek to ensure that all cars used for test and lesson purposes are road worthy. However, we cannot be held liable for any faults that occur with the car during your test or any loss arising from that. 49. If your instructor does not feel that you are ready for your test due to your skills or abilities, the instructor will advise you at least two weeks in advance and discuss this with you as appropriate. This will enable you to change the date of your test to a later date. If you wish to proceed with your test against your instructor’s advice, we may refuse your use of our vehicles. 50. Your instructor will advise you of the safest route during lessons. It is for you to drive sensibly and in accordance with the Highway Code and relevant legislation. and these will be passed to you when the penalty charge notice is received and relates to a contravention which took place during your driving lesson with us. c. Any loss of earnings caused to us as a result of cancelling or rearranging lessons due to the RTA. Any such losses will be limited to cancellations made on the same day.